What is BEPS? What is Diverted Profits Tax? Will either of these affect me or my SME clients? BEPS stands for "Base Erosion and Profit Shifting". BEPS is an issue for international tax authorities: it results from tax planning deliberately set up to exploit gaps and inconsistencies in tax rules of different countries and jurisdictions so that shifted profits and income either 'disappear' or are taxed at low rates. The G20 countries and the OECD (Organisation for Economic Cooperation and Development) have been working on a BEPS project. Will it affect me or my clients? It is unlikely to affect typical UK-based SMEs or their owners as they're probably too small. The measures are primarily aimed at large multinational companies and have been designed to minimise the impact on SMEs. There might be some impact on SME's with international dealings: SMEs who are members of groups that include large companies. What is the BEPS project? The governments of 62 countries have reached an agreement to tackle these tax gaps, committing to implement 'minimum standard' measures. The process has been very open, with much public consultation and various public meetings held. The OECD have published a series of papers making up their Final Report on 5 October 2015. These papers set out a 15-point action plan for areas identified by the BEPS project as needing to be addressed. Some measures can be implemented quite quickly but others will require changes to bilateral tax treaties or to domestic laws and will take a little longer. 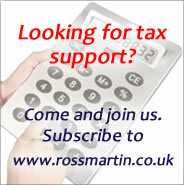 HMRC have already begun to consult and implement some changes, such as patent box and deductibility of interest. On 7 June 2017, 68 countries and jurisditions signed a multilateral instrument (MLI) in order to implement the treaty-based recommendations of the BEPS process. Some 8 more countries are expected to sign later on. This will update some 1,100 bi-lateral treaties and includes measures to prevent treaty abuse, changes to the definition of permanent establishment (PE), changes to the residence tie-break for companies, mutual agreement procedures, and mandatory binding arbitration. The new measures will apply once participants adapt their treaties and ratify the MLI: this is expected to be by 1 July 2018. In the 2017 Autumn Budget it was announced that Finance Act 2017-18 would include a provision to ensure that the existing powers for giving effect to Double Taxation Agreements in UK law, which have previously only been used to give effect to bilateral arrangements, can also be used to give full effect to the MLI. There will be a requirement to submit annual country-by-country reports setting out information relating to global activities, transfer pricing strategies, and the level of income and taxes paid in each location. It is limited to groups with consolidated turnover in excess of €750 million. What sort of changes are going to be made? Patent box: the UK's regime permitting a 10% tax rate for profits generated from patents is considered to be 'harmful and open to abuse'. HMRC have made changes from 1 July 2016 to how the patent box applies. See Patent Box. Transfer pricing: UK legislation already requires the 'arm's length principle' to be applied in a way which best reflects OECD guidelines and so any changes proposed by the OECD will likely be implemented immediately. Tackling hybrids: measures were introduced in Finance Act 2016 to combat structures or payments treated differently in different jurisdictions; for example debt payments being treated as a taxable interest deduction in one country but an exempt dividend receipt in another, or entities being treated as opaque (company) in one country but transparent (partnership) in another. The measures come into effect on 1 January 2017. What about the UK's Diverted Profits Tax? Diverted Profits Tax (DPT) is a measure included in the Finance Act 2015. The UK decided that profit shifting was such an issue that it required immediate action ahead of the BEPS project outcome. DPT applies to large companies and groups. There is an exemption if all parties to a transaction are SMEs. It is primarily designed to catch US high-tech companies that book their UK sales in low tax jurisdictions and strengthen transfer pricing. It is out of the scope of the majority of UK small companies. Under DPT international companies will pay a 25% tax charge on profits that are found to have been artificially diverted away from the UK. The corporation tax rate for profits taxed in the UK remains at standard rates. The legislation applies to profits arising from 1 April 2015. A foreign company makes large volumes of sales in the UK but avoids UK tax by ensuring that the sales are not concluded through a UK permanent establishment (PE) and are 'booked' for tax purposes in a different country. This does not apply if UK related sales are less than £10 million, or UK related expenses are less than £1 million. Entities or transactions lacking economic substance: this applies where a UK company (or a UK PE of a foreign company) artificially reduces its UK profits by making transactions with, or payments to, low-taxed related companies that lack economic substance. 1. Address the tax challenges of the digital economy. 2. Neutralise the effects of hybrid mismatch arrangements. 3. Strengthen controlled foreign companies rules. 4. Limit base erosion via interest deductions and other financial payments. 5. Counter harmful tax practices more effectively, taking into account transparency and substance. 7. Prevent the artificial avoidance of permanent establishment status. 8-10. Assure that transfer pricing outcomes related to intangibles are in line with value creation. 12. Require taxpayers to disclose their aggressive tax planning arrangements. 13. Re-examine transfer pricing documentation. 14. Make dispute resolution mechanisms more effective. 13 October 2016 updated for introduction of anti-hybrid rules and consultation on interest restrictions. 1 December 2015 updated reference to HMRC consultation on Patent Box changes and added link to a summary.